Is it really any wonder why kids are so obsessed with bugs much to parent's dismay? They’re slimy, tiny, and some of them can be pretty darn cute. There are over 900,000 different types of insects across the globe. They’re the most diverse organism currently known to mankind still to this day. It’s no wonder why children are completely fascinated by these creepy critters. So, parents, we are here to tell you to skip the unintentional bug infestation when your child decides to bring their new friends in to play. This updated featured making a smaller list for viewers to enjoy as well as a little more facts regarding bugs and how they help the world around us. The best way to study other living organisms is in their natural environment, out there in the wild. We’re not saying that your child should also venture into the wilderness. 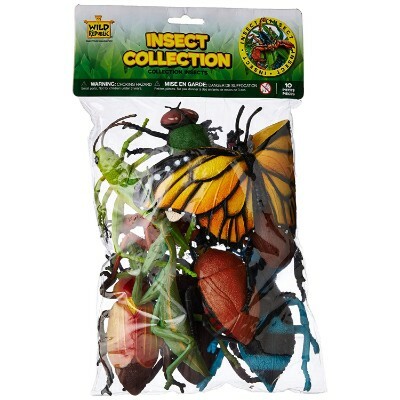 What we are saying is that he or she can take some twigs, grass, or even fallen leaves where insects happen to reside and then place these altogether inside the Toysmitth Backyard Exploration Critter Case. Just think of it as a dog kennel kind of temporary shelter for bugs, critters, and insects so your kid can get to study them a lot closer and with their natural environment partially undisturbed. The Backyard Exploration Critter Case may not be your idea of insect toys but it sure can provide a fantastic opportunity for children to safely observe insects and critters a lot closer and without the risk of being bitten, stung, or even left with very itchy substances. The Critter Case has flattened base to help secure it against accidental tipping over or being knocked over. This sturdy build is best for wild adventurers. It can hold sticks and leaves along with the bugs which gives a better observation in the natural environment. With the ability to hold a lot, high energy kids can collect whatever they would like, keeping busy for hours. The mesh give a view from multiple angles for maximum observation. The simplistic design of the door makes it easy for little ones to open and close while working on their hand-eye coordination. When you’re done playing with these bugs, it’s simple to dump out and start collecting again. The tubular body is made of high grade plastic screen frame and completed with mesh fabric on both sides of the case. There’s a hatch that can be easily opened so your child can easily deposit and remove plants, twigs, branches, leaves, and even his or her insect guests. The Critter Case comes with a sturdy carry handle for optimum transportation. Nothing worse than bugs getting into the kitchen especially when it is gross. 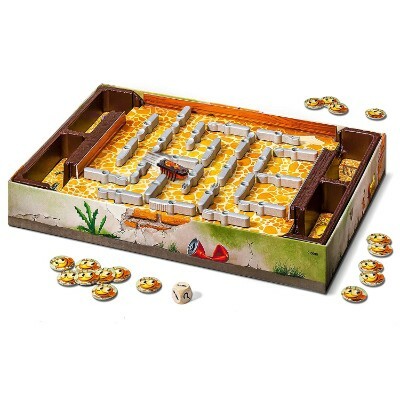 This fun game allows two to four players to engage in a board game that allows each player to have their turn at catching the bug as it scuttles through the maze on the game board. When it is the players turn the use the eating utensils to guide the bug into their trap. Stimulating children’s minds with fast-paced board games is one of the simplest ways to explore their skills while also fostering their sense of completion and developing their fine motor skills. The quickest player to trap the bug will be the winner of that round and receive a token. Once a player has received five tokens they are the winner. It is a fast-paced game that offers an average playing time of 20 minutes. 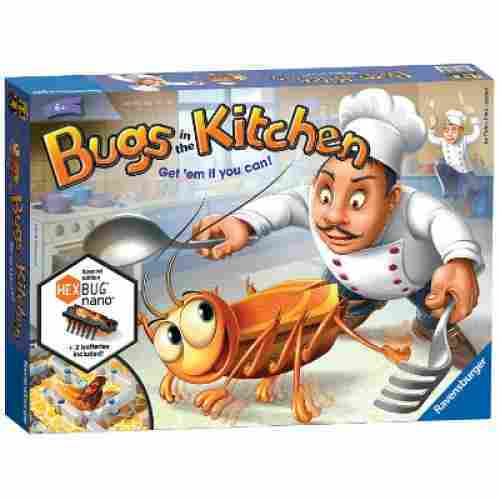 This is one of the most diverse bug games that are great for developmental skill building. It offers a specialized theme while also promoting great skill building. Included with the game are the; game board, the special edition bug, bug tokens, dice, and trap doors. It is easy to play and recommended for children ages 6 and up. Family game night will never be the same after this game. 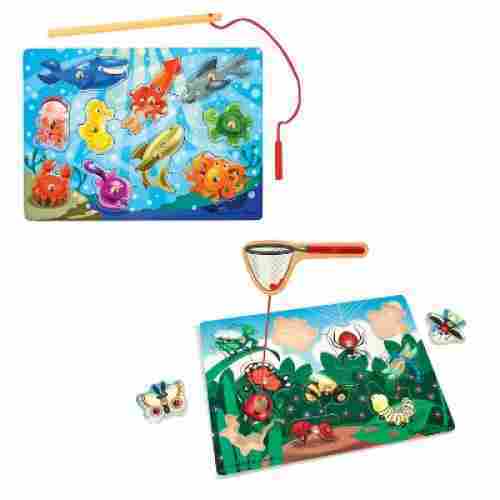 If you can remember the classic fishing game where you have wooden blocks of fish fully embedded with rings that you’d have to hook, the Melissa & Doug Magnetic Wooden Bug-Catching Puzzle Game is just that. It’s a wonderful wooden puzzle that features insects in the garden like a grasshopper, a butterfly, a spider, a firefly, a caterpillar, a dragonfly, a bee, a ladybug, and a moth. Melissa & Doug has always been known for incorporating a variety of learning concepts in their toys. In the Bug-Catching Puzzle Game, kids are destined to expand their vocabulary with the names of these insects and help enhance their language development. Kids, too, can master their spatial intelligence, motor and visual coordination, and balance to fish these insect toys from the puzzle board. 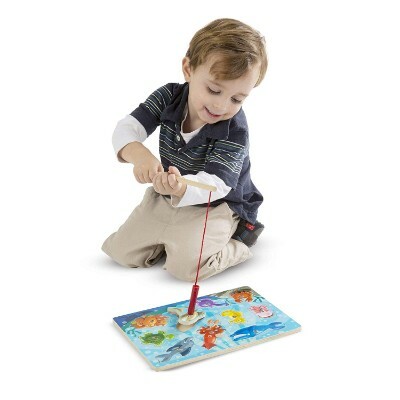 This traditional fishing game has a fun, colorful twist. These insects pieces are caught by a magnetic “net” which develops hand-eye coordination. While actively playing, kids can also expand their vocabulary and knowledge of our outdoor environment. It is engaging and fuels children’s imagination. Ages 3 and up can be inspired to explore and pushed to increase their curiosity. Children are also encouraged to be independent with this solo game and grow their fine motor skills and use of tools. Your kids will have plenty of fun catching these insects with his or her magnetic net which will stick to the magnets atop each of these lovely insects. It even helps reinforce their knowledge of colors. 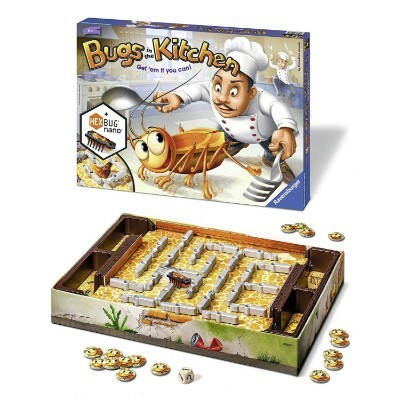 Just think of the Bug-Catching Puzzle Game as a very bug-gy board game designed specifically for young kids. For those who are familiar with sport fishing where you catch a fish, take some measurements, admire the beauty of the catch, document the whole thing, and then release the fish back into the water, then they will also understand just what the Carson BugView is all about. Best of all, the clear dome can actually magnify its contents – your bugs – up to 5 times, thanks to an integrated acrylic lens in the design. Our suggestion is for kids to try operating the BugView on some toy bugs first to gain confidence in the use of the device. Once confidence has been established, then they can readily set out in the backyard and hunt for their own bugs. Just remind them to release the poor creatures after done examining them, though. This bug view is perfect for a budding scientist who has already developed some coordination. The viewing window allows you to observe the finest details on all types of insects. With this, kids never have to touch the bugs and risk getting bit or hurting them. The sliding door captures them safely and you can immediately release them as soon as you’re done watching them. Even parents love being able to catch and relocate uninvited guests found in the house. The mechanism of the BugView is pretty much similar to a fishing rod, hook, and line following a catch and release protocol. Kids will be catching insects with the BugView, trapping the bugs in the device’s clear dome, and observe the bugs or critters through the clear dome. Catching bugs is made humanely possible and easier, too. It doesn’t involve squishing or even destroying the natural habitat of these critters. 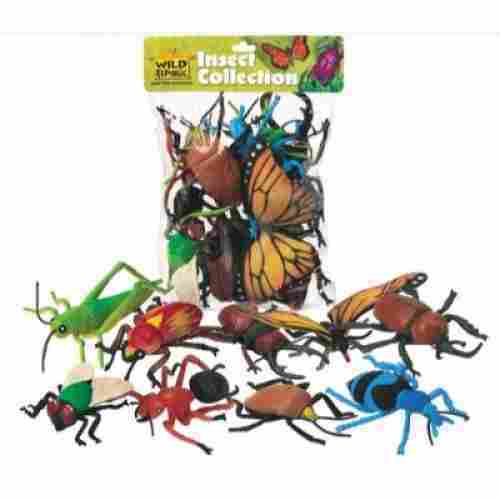 Keep your little ones’ favorite bugs at the tips of their fingers with this Fun Express assorted insect puppet pack. The set includes twelve pieces total, starring bees, ladybugs, dragonflies, butterflies, grasshoppers and more! All puppets measure roughly 1.75 to 2.75 inches and are made of a durable vinyl. The finger holes are made smaller than many other puppets so that they won’t slip around and fall off of tiny hands. And the bugs are all vibrant colors, painted to resemble their real-life counterparts. The set includes two copies of each insect so you can replace lost pieces, or let your child enjoy all of their matching friends. Creative play lets children explore social dynamics, empathy, problem-solving, and story-telling in their own imaginative ways. These bugs are a great tool for playtime; they fit right on your child’s fingers so they can run around with their buggy buddies and still keep their hands mostly free. Plastic bug toys are great but how often do the pieces go missing? This Fun Express set aims to solve that. Making them puppets means they’re always handy for your children, and by offering two of each bug, your family is all prepped to keep playing, even if one or two pieces from the kit go missing. 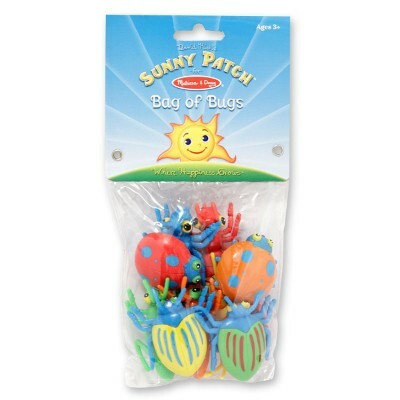 Designed specifically for pretend and play activities, the Melissa & Doug Sunny Patch Bag of Bugs are just the perfect insect toys for kids who love nothing else but to explore their natural environment. Now, parents can feel more confident and more secure every time their kids set out in the garden in search of colorful bugs as you will be using the Sunny Patch critters as wonderful hide-and-hunt tools to train your child’s observational and exploratory skills. It can also be played as a sorting game since the sturdy plastic insect toys come as two of each kind. Kids get a pair of centipedes, grasshoppers, June beetles, ants, and ladybugs. These also come in vibrant colors so kids can also use color as a sorting parameter. Their language abilities as well as motor skills can also be enhanced just playing with the Sunny Patch bugs. These are very friendly insects that will never bite your kid. These colorful bugs can be used for numerous games. Little ones can learn to count, sort and match with the 10 creepy crawlies. Add some outdoor time by playing in your yard to hunt for these fun critters while working on color recognition. This sturdy plastic is safe and well made so kids can be entertained for hours without fear of breaking off pieces. Recreating “bug homes” and different environments pushes children to develop their imagination and creates a love of nature and all creatures. Catching bugs is a fun mission to send the kids on. This personal bug and insect trap is just the tool to send them with. The tool allows kids to safely catch bugs and then release without harming the bugs or themselves during the process. Plus not direct contact is made with the bugs. 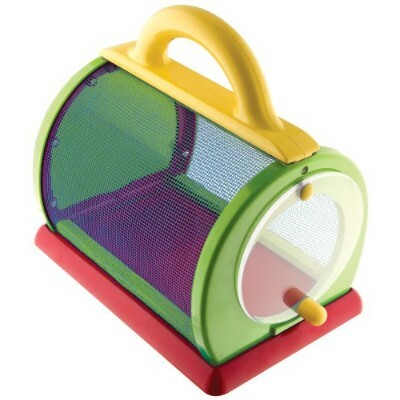 The bug catcher is constructed from plastic that is environmentally friendly and chemical free. Teaching kids about bugs and how to respectfully and reposefully catch bugs to inspect them is a lesson that will last throughout their lives. Being able to explore nature and learning about the details of the earth is one of the best gifts that you can give a child. Kids will be able to run around and scurry after bugs with this kit. Mother Nature is a wonderful subject. Allowing children to explore and inspect bugs is such a cool thing. This catcher makes it safe for both the kids and the bugs. 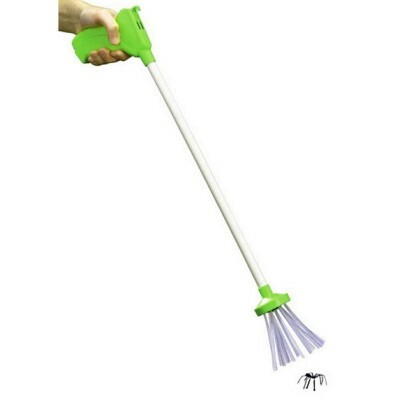 It features a long handle and soft bristles that gently enclose the insect while not allowing them to escape. This gives them a quick response time to catch the bug and then be able to quickly release when ready. It is the best and safest way to help kids explore their bug sense. 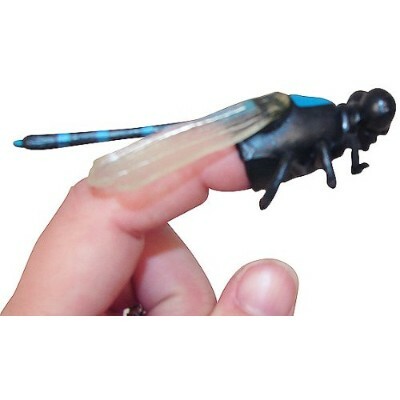 Looking for real insect toys? How about the Wild Republic’s 10-piece Polybag Insect? These are way better-looking, more realistic than the other toy bugs we have in this particular list. The details of each of these creatures are so life-like that you wouldn’t really believe them to be playthings. At the very least, this should help young children hold these creatures without having to worry about getting nasty bites or itchiness because these can supplant the real creatures they represent. The bugs are unique types of beetles and insects that kids can learn about. Kids can see all the details up close without fear of bug bites or stings. These life-like, giant bugs are perfect for some fun education. Adults can even use these in a classroom setting for everyone to learn about all the different species of bugs. The accurate details can teach kids about anatomy and create a compassion for all creatures. These bugs are also huge and are constructed of very durable materials. These also make for superb décor in your kid’s room. However your little one intends to play with these, he or she is guaranteed to have a better understanding of these members of the animal kingdom. It’s never too early to introduce members of the insect world to infants or babies. In fact, if you’re going to get the Melissa & Doug Deluxe Bug Jug Fill and Spill Soft Baby Toy, we promise you your baby will appreciate you for life. The Bug Jug is actually a see-through jug that comes with a lid made of mesh. There’s only one function of the Bug Jug: to provide a home to 4 lovable, plush, and adorable bugs that include a butterfly, a grasshopper, a ladybug, and a spider. What’s amazing is that these 4 little friends come with built-in sensory toys such as a rattle, a squeaker, a crinkle, and a jingle bell. These are important for auditory stimulation. Helping develop babies’ tactile senses are the different fabric materials used in the construction of each of these bugs, not to mention how soft they feel to the touch. And with soft yet lovable colors, too, you have just completed the troika of sensory development for infants. This interesting toy is one of a kind. The concept is still simple enough for younger kids to increase their fine motor skills. Perfectly developed for little hands to practice “filling and spilling” and develop their hand-eye coordination. There are different rattles, squeaks and crinkles for babies to explore and work on sensory development. Bright and fun patterns are perfect to start introducing colors. 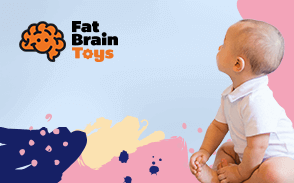 These are the bugs that will help your baby optimize his or her brain development because of the superb sensory stimulation that these toy bugs provide. If you’re constantly asking: is this toy safe for bathtime? --you can stop right there. The Boon Water Bugs set is specifically designed to be water-friendly and accommodating to young children. The bugs fit easily inside the net and float on the surface of the water so kids will have an easy time scooping them up as they continue to develop little muscles, dexterity, and control. The bright colors and splashing noises give this an ample amount of sensory stimulation for little kids. The game is simple to play and encourages hand eye coordination. All materials are made to get wet and easy to dry and clean, so you never have to worry about nasty bacteria hiding out in crevices or decaying your toys. This splashzone safari encourages hand eye coordination and helps toddlers learn the mechanics of their own body. 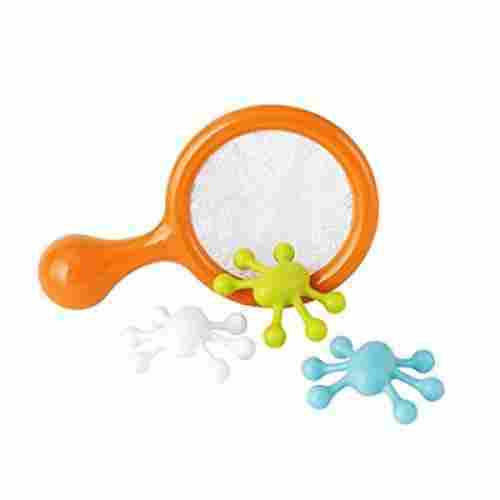 Three nondescript water bugs in white, green, and blue float around the sudsy sea while your little adventurer aims to capture them with their bright orange net. All materials used are BPA-free, phthalate-free, and PVC-free. Recommended for ages nine months and older, this is the perfect gift for toddlers. Some of those rules can include sensory development and even having so many different species of insects out their help grow those skills. Every new sight, sound or color is a learning experience for children especially young children. When parents give children stimulating toys it helps encourage their children to continue constantly growing those skills. Developing fine motor and gross motor skills are extremely important for your child's development. Gross-motor skills are things that use large muscles of their body. We start learning how to use these skills from birth, starting with the trunk and upper body and then the lower body. These skills of course grow and develop over time and lead to more specific skills that children can do. Gross motor skills need to be strengthened before fine motor skills. This is crucially important because it can build confidence and strength which your child will need all these skills when entering kindergarten. It’s extremely important to show kids about nurturing and having a love for animals beyond just caring for their cats and dogs or whatever other pet they may have at home. It’s important for children to learn and understand and appreciate bugs as well. While we can always accompany our kids to go bug hunting, it’s crucial that we have a clear understanding of the importance of insects and critters in our everyday lives. Some members of the bug family have very important roles to play in preserving the balance in the ecosystem. With these 10 Cool Bug Toys in 2019, we are essentially helping our kids to understand and appreciate this invaluable role that bugs play. Bugs kill pests – Many critters are predators of other critters. For example, aphids can easily destroy crops which can have an impact on our food sources. Ladybugs are known to be natural predators of aphids. Think of it almost as part of the circle of life. Bugs are excellent at recycling – If you’ve ever heard of the dung beetle, then you certainly know what it does. There are numerous insects, bugs and critters that use all of the materials that we consider a waste and they turn it into something more useful. This is recycling basically at its best. Bugs spread pollen – We wouldn’t be able to enjoy any of the colors of spring and the blooms of summer without insects that fly from flower to flower, carrying with them precious pollen that impregnates another flower. As flowers become the fruits that we enjoy in our tables, without these insects, there wouldn’t be any fruit at all to have! type of fabric known as silk? It’s made by a type of insect called the silkworm. The honey we use in many of our dishes is produced by bees. There are many other products that we now enjoy because of the work of these insects. There are also several social aspects to playing with science-based toys such as these bug themed wonders. Children can experience first-hand the way things work through a cause and effect process. This can also work on a physical and social level as well. When using these bug toys in their everyday environment, children can experiment with cause and effect especially during imaginative play. Children will be able to explore their relationship with the world and other creatures they may not have noticed before that’s around them. Essentially, these toys become tools that your child will build skills and learn new ways to interact with not only nature but people as well. 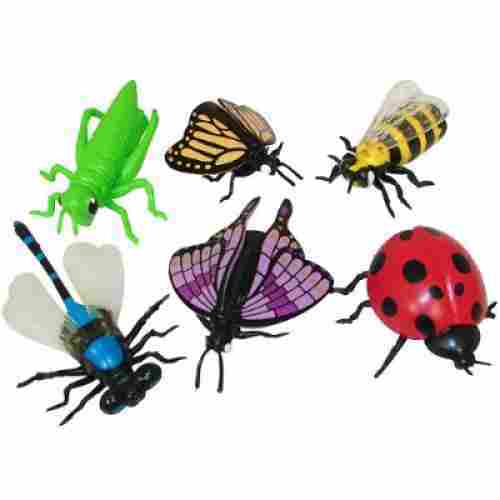 Different types of bug toys create a compassion for all the wonderful different creatures that the world has to offer. They develop their unique interests while building experience in the great outdoors. It’s never too soon to teach your little ones how the world works around us. What better way to do that then by going on nature walks or finding out what species are living in your own backyard. 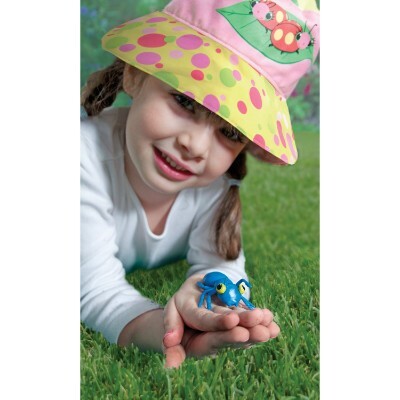 Having these bug themed toys will also help provide imaginative play for your children. Your children can take knowledge that they learn and apply it to games around the house. Each of the toys on our list can strengthen your child’s curiosity and role-playing skills. 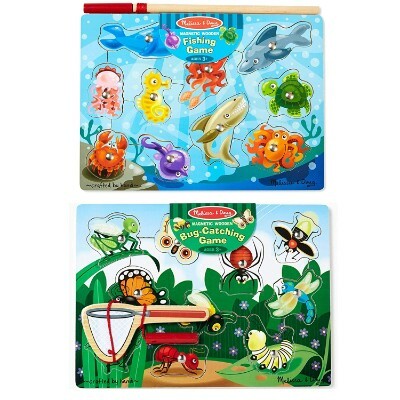 q: Is the Melissa and Doug Magnetic Wooden Puzzle Game Set: Fishing and Bug Catching waterproof? No, it is not waterproof. Each piece is made out of wood with a printed design on the top. These toys are best played inside. 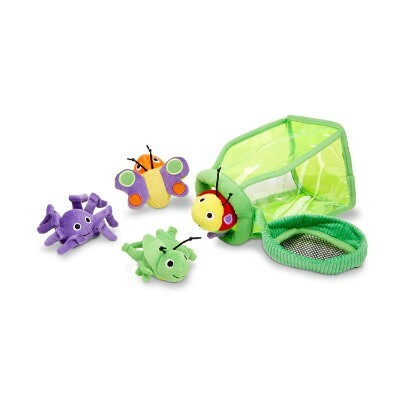 Other bug toy options listed here are waterproof plastic and would work perfectly in the bath or outside. 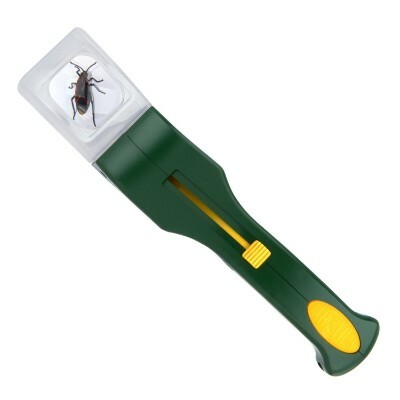 q: Is the Carson BugView Bug Catching Tool and Magnify humane for bugs? Yes. Because of the design, bugs can be safely placed inside the viewing box and then released outside. It replaces the old-school place a cup over an insect and slides a piece of paper under method. 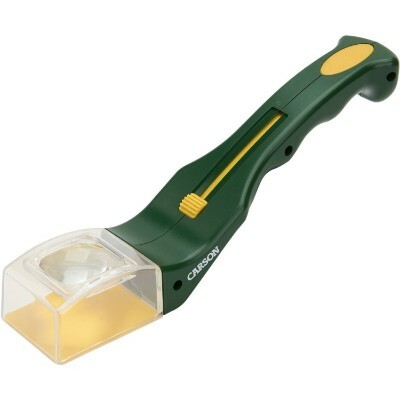 This is an all-in-one, convenient tool with no harm to the critters. q: Are the Wild Republic Polybag Insect 10 Pieces safe for bath time? Many families have fun incorporating these bug into bath time. 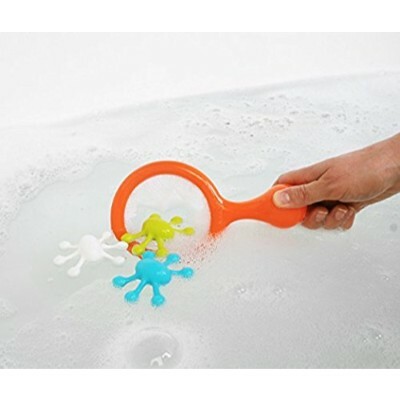 They are large and they float, so perfect for some fun in the tub. Not to mention, these bugs are made out of a sturdy plastic and are high quality. 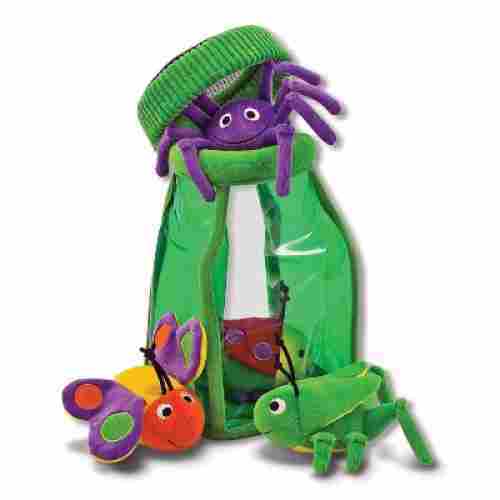 q: Can the Melissa and Doug Deluxe Bug Jug Fill and Spill Soft Baby Toy fit in a bag for travel? These toys are squishy and easily collapsed. Therefore, they can be compressed to fit in different bags for travel. As long as you don’t mind the silly noises these toys make while driving around. q: How big are the Bug Counters? They are all about 2 inches. The size is important because it requires growth of fine- motor skills. Fingers have to grasp the smaller pieces and sort them during the different games. They are also easy to store all 72 pieces conveniently. At the same time, they are not too small. Children on the younger end of the spectrum can still enjoy these fun creepy crawlies. 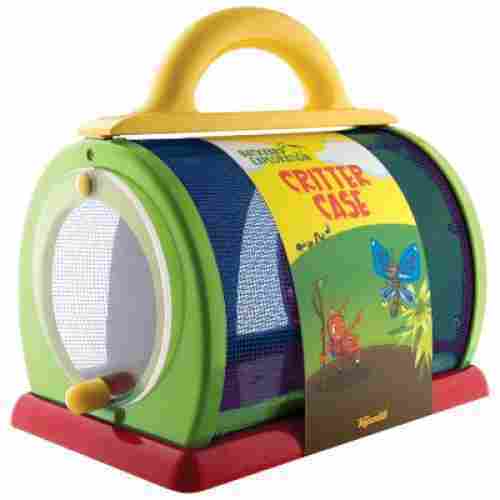 q: How do you order bugs for my Insect Lore Ladybug Growing Kit Toy? The ladybug home and the larvae are delivered separately. Once you order the growing kit and it delivers, it comes with a coupon. Send in that coupon and your larvae will be delivered straight to your door. This is for the safety of the bugs and so they have the best potential of making the long trip.